Entrepreneurship sometimes forces us into situations where we have to handle A LOT. For me, it’s been about creating systems to streamline my workflow, and deciding to choose ease over overwhelm so that I can welcome more freedom into my life. In this vlog, I’m going to cover a lot that you might currently be experiencing or might have previously experienced! Setting 90 goals with only 2-3 big goals so that they’re achievable is SO important, and we’ll talk about that. If you like the sound of “reverse engineering” the steps in a 3 month period, you’ll love hearing my thoughts on that, too. Freedom is so necessary. You don’t ever want to feel crammed into your day, like you come last and everything else comes first. Having the time to go get a manicure or spend time with friends and family is imperative as a business owner. Otherwise, why do you run your own business? We’ll talk a bit about adding purposeful white space – which simply means adding in more buffer periods between projects, strict no-work days, or having a social media day of the week. Adding time into your week that ISN’T rigidly scheduled is such a lifesaver. Freedom doesn’t just come in the way you operate your day, though; it can also come to you in the way that you interact with your co-workers, for those of you who operate inside an office or a corporate world. Are you waving goodbye to your freedom AND your boundaries by agreeing to take on too much? You decide how you want your day to feel. You decide how you want your relationships to unfold. 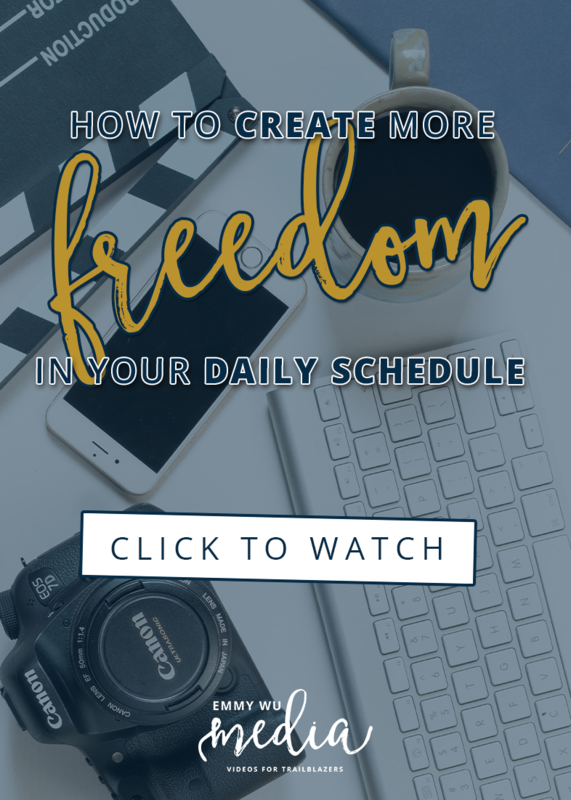 Ready to create more daily freedom in your schedule? Then watch the vlog above and COMMENT below with your takeaways!